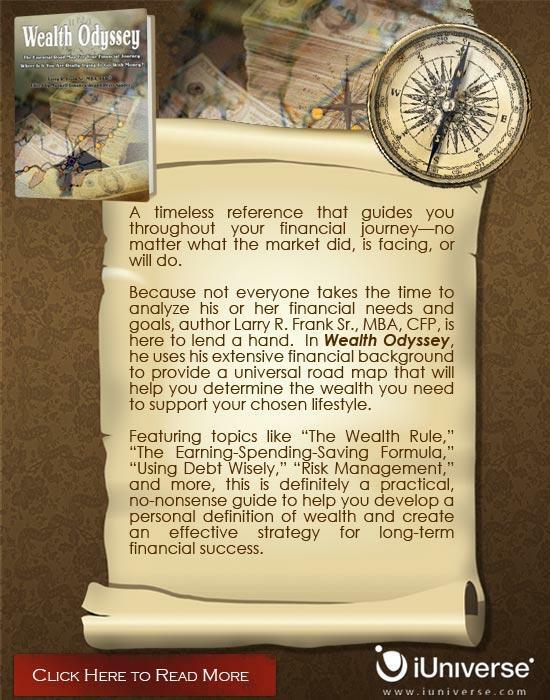 Larry's book, "Wealth Odyssey," shows people what financial planning really is, which is beyond just investing. The book also defines wealth to show you how to use wealth to sustain your unique Standard of Individual Living. "Wealth Odyssey" shifts your focus from income-centric thinking to net worth, or wealth-centric thinking. With this subtle change in perspective, "Wealth Odyssey" shows how this helps you put all the financial planning components into better perspective to make smart decisions on your journey to your wealth and goals. See a short video on the book in my blog. 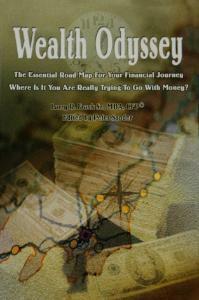 Wealth Odyssey is listed among member books on the National Association of Personal Financial Advisors (NAPFA). You may find Wealth Odyssey at the publisher's website or online at Amazon (with "Search Inside" feature), Google Books (with preview feature), and Barnes and Noble. Wealth Odyssey is one of the many suggested resources by JumpStart to help young people learn about personal finance. Available to teachers, mentors and students, by title search in the JumpStart Clearinghouse.